With a Master of Science degree from ETH, he began his professional life with a management career in the industrial sector. Then he moved to the brand and communications industry and became an entrepreneur. In addition to that he now teaches and continues to do research at the University of Applied Sciences (HTW) in Chur and at the Bern University of Applied Sciences (BFH). 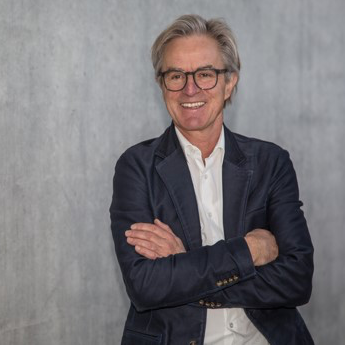 Prof. Ruedi Alexander Müller-Beyeler manages projects for brands, design and communication in an increasingly digitalized world – as consultant, project partner, interim manager, member of the Board and university lecturer.